Help us build Zet Universe for you. It’s where all the action is. 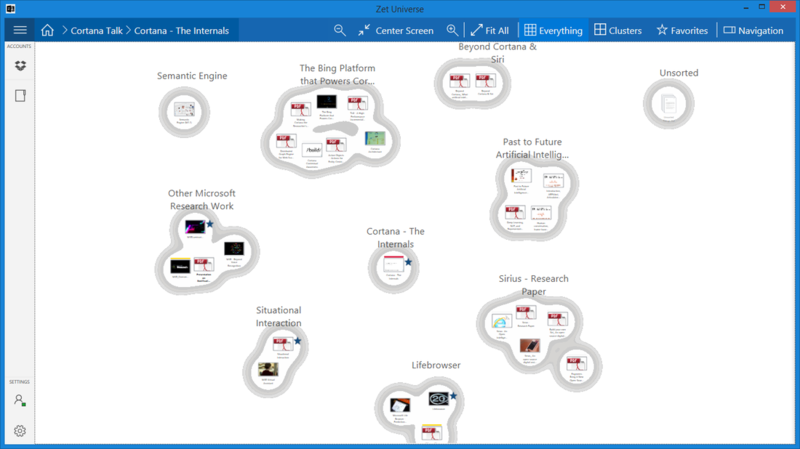 Try Zet Universe with your project data sources, use it in your everyday activities, and ask questions. 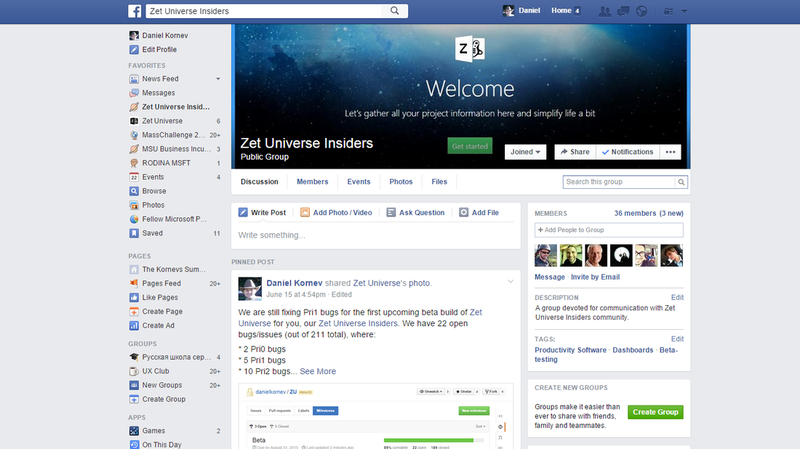 Join the ﻿Zet Universe Insiders group﻿ on Facebook to share your thoughts with other Insiders, and use our Uservoice website to give us your feedback and let us know what you think. 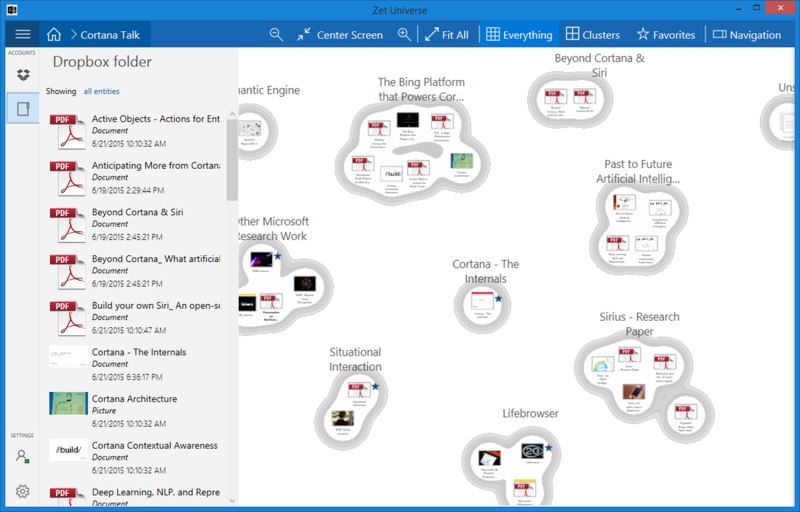 Be one of the first to see future updates and improvements to Zet Universe and provide feedback. 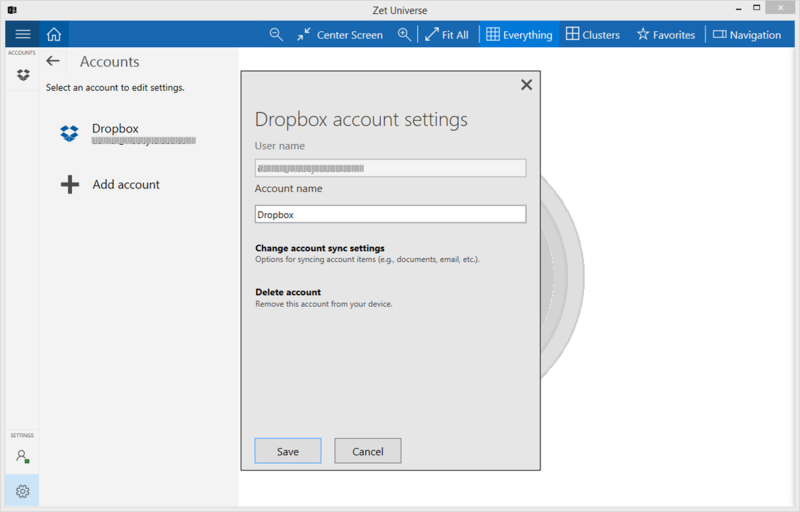 Connect your Dropbox account to track progress in your project folders. 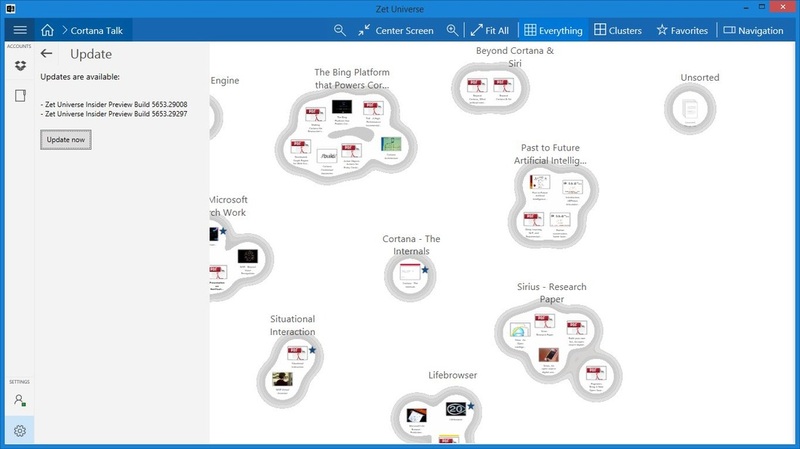 Drag and drop files you need, and organize them into visual clusters to track changes.